European utilities are selling conventional supply assets as they refocus on renewables, networks and services. Asset sales are gaining momentum as write downs and balance sheet pressures rise and value opportunities are starting to surface. European utilities have taken a battering so far this decade. Most utilities are suffering balance sheet hangovers from a pre financial crisis spate of aggressive acquisitions and optimistic asset developments. The pain suffered by utilities has been compounded by losses on thermal power assets over the last 5 years, as generation margins have been eroded by commodity price dynamics and increasing renewable penetration. Gas supply costs may add further balance sheet stress if gas hub prices continue to diverge from long term oil-indexed contract prices. European utilities have written down more than €100bn of asset value since 2010 according to estimates by Jefferies, €30bn of this in 2015 alone. 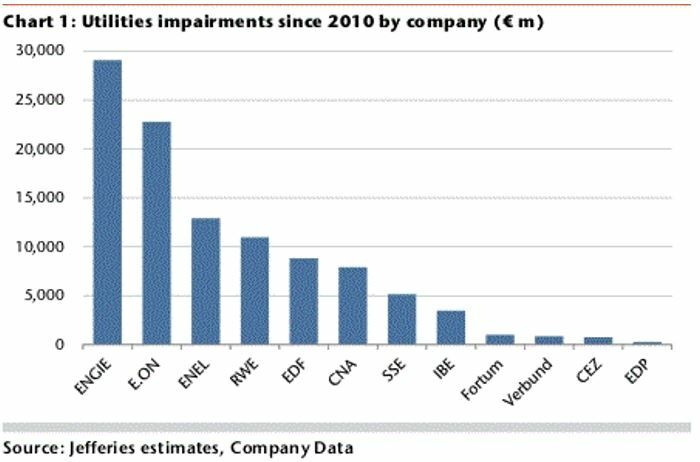 Chart 1 shows a breakdown of impairments this decade by company. As a result, utilities are embarking on a transformational shift in strategic direction. The way forward is focused on renewables, networks and customer services. The vision for these businesses is a stable income base to repair balance sheets. Growth is anticipated to come from the development of renewable assets, both within Europe and further afield. In order to raise capital and de-risk earnings, utilities are selling and spinning off conventional supply assets from their portfolios. This is supporting a pronounced ramp up in transaction activity in European energy markets in 2016. Value opportunities are also improving as utilities revise down asset price expectations. There is an increasing queue of thermal power assets for sale across Europe this year. Activity is also rising around the sale/restructure of midstream gas assets (e.g. storage, pipelines and some LNG assets). Utility asset sales are likely to gain momentum over the next 2-3 years, as the current pipeline of planned sales is implemented and balance sheet pressure continues to intensify. Germany’s two biggest utilities have been the most prominent advocates of the asset spin off approach. E.ON completed the spinoff of its supply and trading business into a separate company (Uniper) in January 2016. RWE has also taken the spin off route, although it is approaching this via creating a subsidiary (RWE International) containing its renewables, networks and retail businesses, with a view to IPO the subsidiary later this year. The large French and Italian utilities are focusing more on direct asset sales. Engie is top of the impairment list in Chart 1 and is also leading the sales charge. The French based giant has earmarked €15-20 bn of assets for sale over the next 3 years in an attempt to “reduce the share of activities that are exposed to price fluctuations of commodities and to increase the share of contracted or regulated activities”. Engie has already sold a portfolio of its US generation assets. European upstream and generation assets are tagged to follow. EDF is following suit with plans of up to €10 bn of asset sales over the next five years to help stabilise its balance sheet which is suffering from the additional stress of its nuclear misadventures. ENEL has a target of €6bn of asset sales by 2019, with more than €1bn marked to go in 2016. The ‘top 5’ utilities reflect an industry trend that extends across a broader base of European energy companies. Sale of merchant assets, reduction in commodity price exposures, strengthening of balance sheets and refocusing on core & regulated activities. What is different in 2016? The prospect of asset sales by European utilities is not a new phenomenon. Expectations have been building as the decade progresses. But utilities have not shown any particular urgency in progressing sales, partly because balance sheet damage has been shielded by favourable debt and equity market conditions (thanks to quantitative easing). The key development in 2016 is the bid-offer spread for assets appears to be narrowing. The prices at which utilities are prepared to sell is falling as impairments are realised and pressure to sure up capital positions increases. Utilities now look to be more willing to sell thermal power and mid-stream gas assets at a steep discount to their purchase or development costs. Lower prices are partly due to the fact that structural market changes and poor investment decisions are now reflected in asset write downs. But prices are also starting to reflect cyclically depressed market conditions (e.g. low commodity prices, weak margins and low flexibility premiums). Growing impairments are a powerful factor driving utilities to sell assets. But while sellers are motivated, in some cases highly motivated, they are not yet distressed. The evolution of sales processes has so far been relatively orderly, in contrast to some of the asset fire sales that took place in the post Enron period in the early 2000s. However the balance sheets of European utilities remain under pressure. Gas hub prices in 2016 have showed signs of diverging again from oil-indexed contract prices. Growing oversupply in the LNG market may intensify this dynamic over the next 2 to 3 years. Gas vs oil price divergence caused significant financial pain to utilities in 2009-10, given a mismatch of gas sales on a hub price basis versus a cost base driven by oil-indexed contracts. Renegotiation of long term contracts this decade has reduced this threat to some extent, but utility balance sheets are also significantly weaker now than 5 years ago. Another factor worth considering is that utilities are starting to crowd the exit door. If motivation to sell assets transitions to distress, this is likely to be reflected via falling prices. Those are the ingredients for a feedback loop where lower asset prices may result in a greater urgency to raise capital. Who is going to buy the assets? Lower prices are a key ingredient to flush out potential buyers. This is particularly true given the notable absence of potential utility buyers. Historically other European utilities have been the natural owners of conventional supply assets, but most companies are currently looking to sell rather than buy assets. Instead it is infrastructure investors who are circling on the buy side. These include funds (infrastructure, private equity and pension), but also large Asian infrastructure companies and sovereign wealth funds. Utilities are not renowned for their market timing and infrastructure buyers smell an opportunity. This coincides with growing pools of capital being allocated to infrastructure investment in a search for yield, against the backdrop of an historically low interest rate environment. While the risk profile of merchant assets can be challenging for infrastructure investors, value opportunities are improving with increasingly motivated sellers. In many cases the sellers are prepared to retain some market risk to offset against other portfolio exposures, as well as offering route to market services. Infrastructure capital is also being supported by low borrowing costs and the development of financing structures that are compatible with some exposure to market risk. The conditions appear to be in place for a transformational restructuring of European energy asset ownership over the remainder of this decade. This process is likely to accelerate the mothballing or retirement of assets that are currently uneconomic. But there are also a growing number of attractive value opportunities around assets that are an integral part of Europe’s energy supply chain.